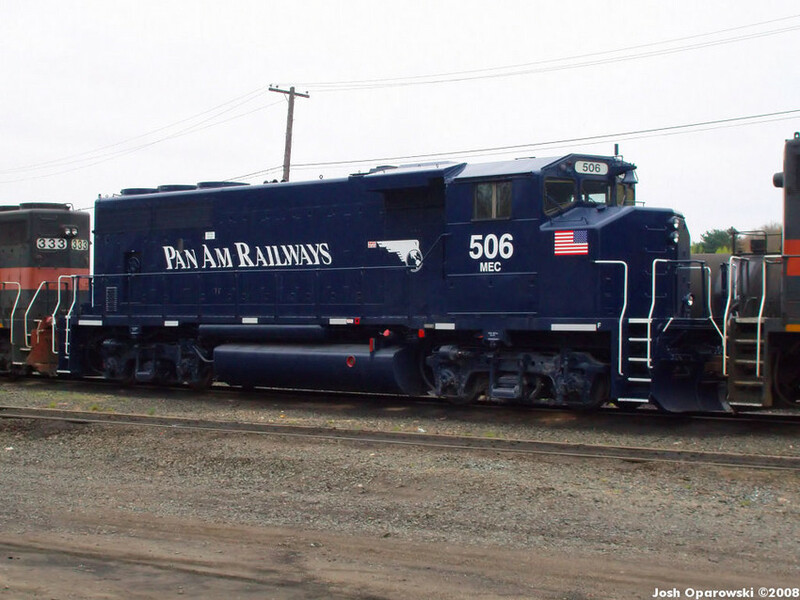 After two years and two locomotives, Pan Am Railways has rolled out another new paint scheme. The unit is seen at East Deerfield after suffering isolated traction motor problems on train AYED. Photographed by Josh Oparowski, May 3, 2008. Added to the photo archive by Josh Oparowski, May 3, 2008.